In Part One we met the beautiful bridal couple Cat and Graeme, our last wedding of the 2016 season, who celebrated their villa wedding in Nerja. They had a traditional ceremony in El Salvador church in the pretty town square followed by celebrations in one of our stunning villas. Guests were escorted from the church to the wedding venue and were presented on arrival with drinks. It was a lovely warm day for late October and friends and family took in the villa’s majestic 360 degree views of the Mediterranean sea and mountains on all sides. 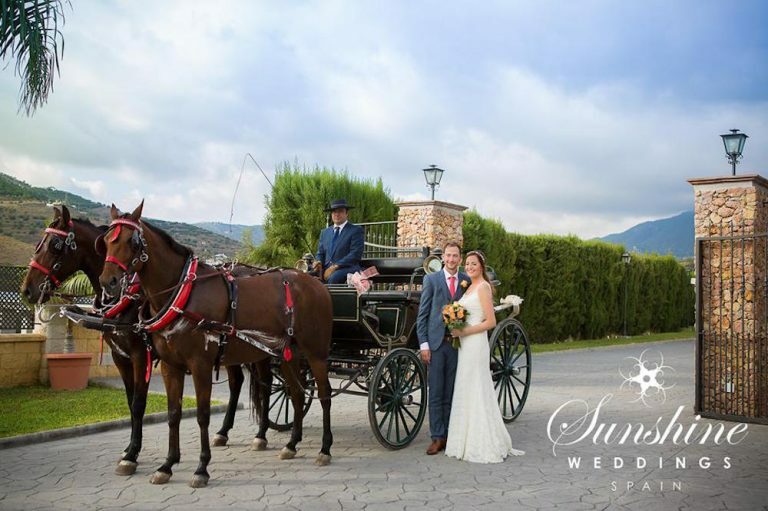 Cat and Graeme, wanting to continue their rustic Spanish theme, arrived in style at the villa in a traditional horse and carriage. Accompanied by the melodic sounds of Spanish guitar, the couple and their guests enjoyed an array of sumptuous canapés including ham and quail, smoked salmon, sushi and tempura prawns. The villa had been decorated in keeping with the couple’s rustic wedding style and the venue was coordinated with the coral colour theme, including pretty vintage lace touches and lots of wild flowers. 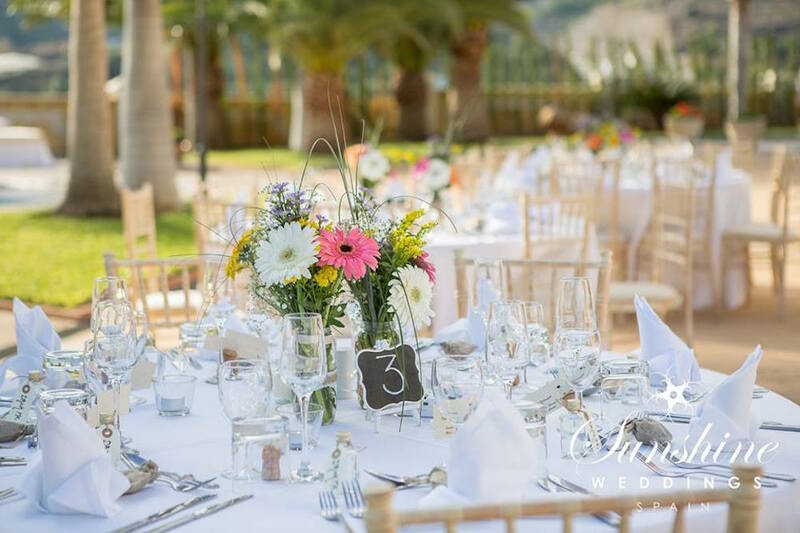 The joy of a villa wedding in Nerja in late October is that the weather is perfect for outdoor dining, sunny yet not too hot – so the meal was served in the lush villa gardens with its pretty sea views. Guests enjoyed a choice of starters including asparagus with ham, shrimp and avocado, or homemade chicken and chorizo pate followed by a choice of either Irish sirloin steak or roasted sea bass as their mains. This was followed by a mouth-watering trio of desserts including chocolate brownies, wild cherry tartlets and Eton mess. 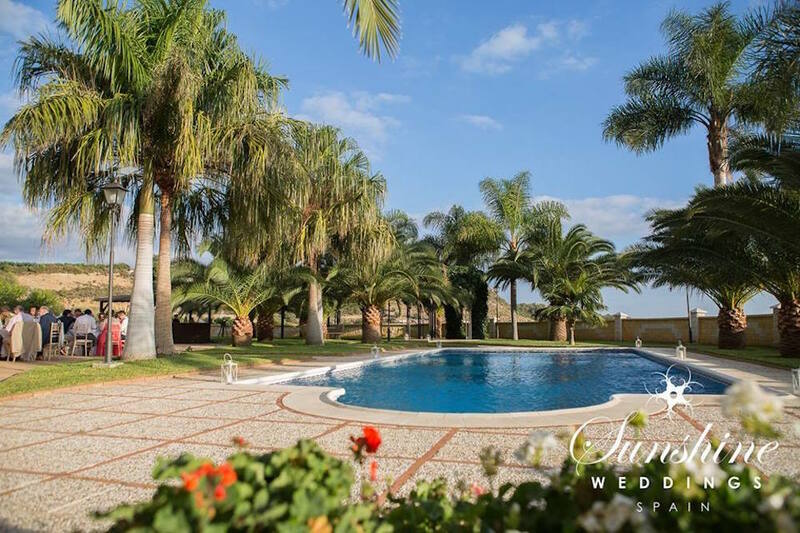 Our Nerja villa is favoured by our wedding couples for being a venue that can be rented out for the day and, as we did for this wedding, we can arrange for the wedding party to stay at nearby hotels and villas. As day turned to night and drinks continued to flow, this perfect autumn wedding in Spain turned into a fun party with dancing into the night. What a way to end our amazing 2016 wedding season! Cat and Graeme we wish you a lifetime of happiness and may your married life together be as perfect as your villa wedding in Nerja was.